Learning English abroad is by far one of the richest, most amazing experiences you’ll ever have. It’s an unbeatable opportunity to meet new people from all over the world, become more independent, and make memories that will last a lifetime – all while exploring a brand new destination! Let’s take a quick look at some of the things that make the #ECexperience so special. 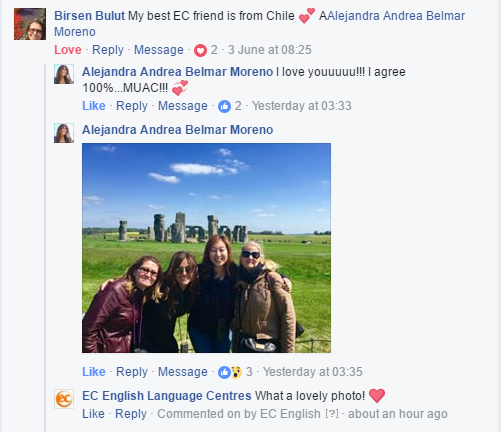 When you study English abroad, your friends become your own little family! You’ll definitely find someone you click with, and you’ll succeed together. We’ve seen loads of cute couples find each other at our schools! Sometimes those adorable couples turn into something even greater. 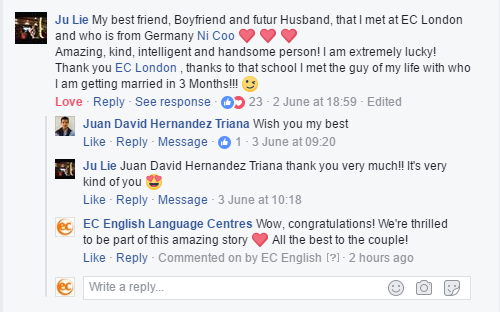 Who would have thought that learning English abroad could bring you together with your soulmate? 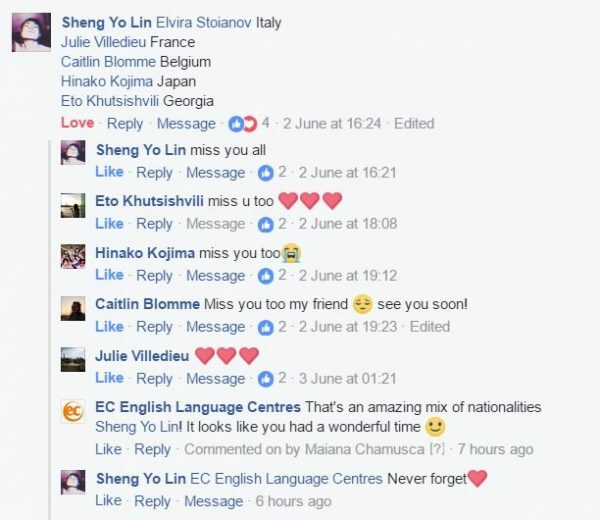 Studying at EC means meeting people from around 140 different countries! We love seeing our students make friends with people coming from different cultural backgrounds – it’s the best way to grow as a person. With 23 schools in some of the most iconic English-speaking cities in the world, you’ll have the chance to see some truly breath-taking sights. Whether it’s Table Mountain in Cape Town, Golden Gate Bridge in sunny San Francisco, or the Big Ben in London, you’ll discover everything your city has to offer. As you get to know your EC destination, you’ll start to feel like it’s your second home. With friendly locals, loads to do, and your awesome EC family, you’ll have the confidence to make the city your own! Our fantastic teachers are there to guide you from your very first day of class! You’ll always feel at ease asking any questions you might have as you learn new things and improve your English skills together with your classmates. Confidence is the key to achieving fluency, and at EC you’ll be able to build your confidence up like never before. 8 | But most of all, you’ll make memories that will last a lifetime! At EC, learning English abroad isn’t just about what happens in the classroom. It’s about challenging yourself, becoming more independent, and discovered a new destination (and making it your own). You’ll make lifelong friends with people from all around the world, and make some really incredible memories together too. So… what are you waiting for? Want to be a part of the EC Experience? Contact us to find out more about learning English abroad – we’ve got loads of destinations to choose from!